"Why aren't the boys required to leave school to fetch water?" It's just one of the questions about gender, clean water and access to education that kids are asking when they play a new free digital game called "Get Water." 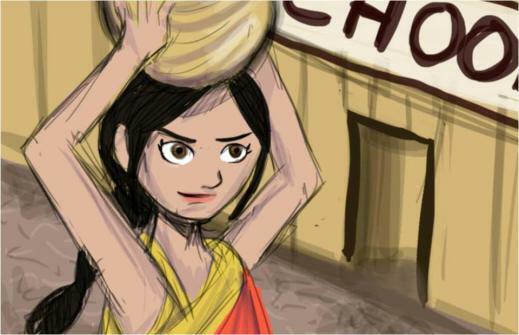 In the game, a fictional girl Maya in South Asia is pulled out of school by her mother when the pump in the community breaks down and she is required to trek to a distant well to bring clean water to her family. Players help her soar over and around obstacles to overcome barriers, eventually enabling her to gain an education. The Global Campaign for Education-US and iEARN helped obtain quotes from students around the world on why universal access to education and water are basic rights. 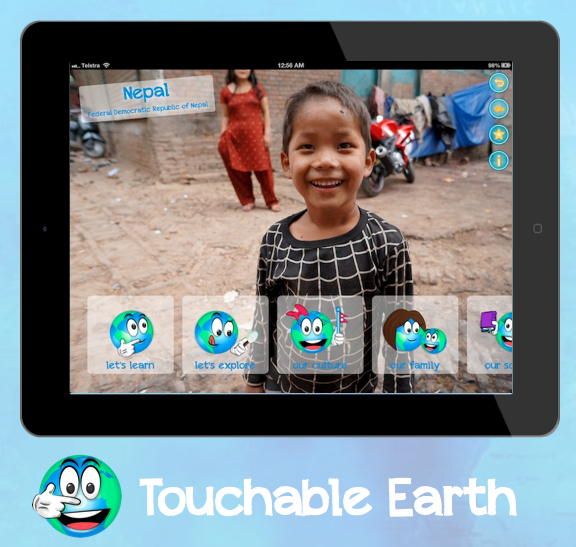 In another mobile technology app called "Touchable Earth" the player is able to explore other cultures by visiting young people and hearing directly from them about their lives, families, school, play, etc. in strikingly beautiful filmed conversations. Both among the five finalists in the UN Alliance of Civilizations competition for excellent games and apps that build cultural awareness, these games are examples of how new technologies can provide global education content in an engaging and fun activity. Jordan Shapiro of Forbes found "I'm now having surprisingly sophisticated conversations with my two sons (5 and 7 years old) about the privatization and commodification of water rights while we swap devices and controllers on the living room sofa... all because of a video game." "I realize it is not just a question of thirst and purity, but also an issue of education and gender." iEARN-US, working with Zerofootprint.net, has developed a Youth Carbon Footprint Calculator project that enables students of all ages, including those in elementary school, to explore their personal impact on the earth's climate, but learn about how other young people go to school and interact in their communities. In just a few years, a total of 227,000 young people throughout the world have teamed up to reduce their carbon footprints by over 142 tons of CO2. 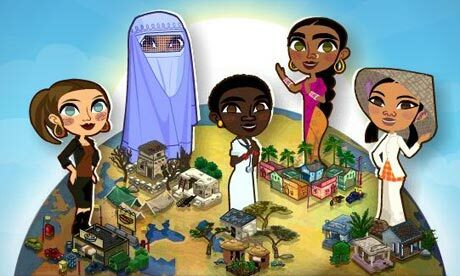 Games4Change's new Half the Sky Facebook game is a fantastic example of how students and learn about important global issues of gender equality and security in a cross-cultural context. In each of these games and apps there is a component of acting on the learning, whether by donating or changing one's lifestyle. Although educational interactive games are not new (Games4Change has been working for almost a decade), I am encouraged that there may be an exciting trend developing to enable young people to learn about and take action to impact the world and its issues in a gaming environment in which young people are totally comfortable. And I'm encouraged that international organizations like UNESCO are seeing mobile technology as a powerful tool whose "unique benefits can be leveraged to advance progress towards education for all."